Happy New Year! The first day of 2018 seemed a good day to post a blog that looks both backwards and forwards on a key topic of the moment: democracy. The concept of democracy is simultaneously central to our current political culture and at the same time the subject of debate. In a previous blogpost I noted Harrington's distinctive understanding of democracy and suggested that his thinking on this subject might provide some interesting answers to our current democratic crisis. I want to build on this suggestion in my next few posts by exploring three mechanisms that were proposed by Harrington, or his followers, which could be used to breathe new life into our democracy. As a preface to those explorations, this post will offer a brief history of the concept of democracy, focusing in particular on how it was understood in the seventeenth century. 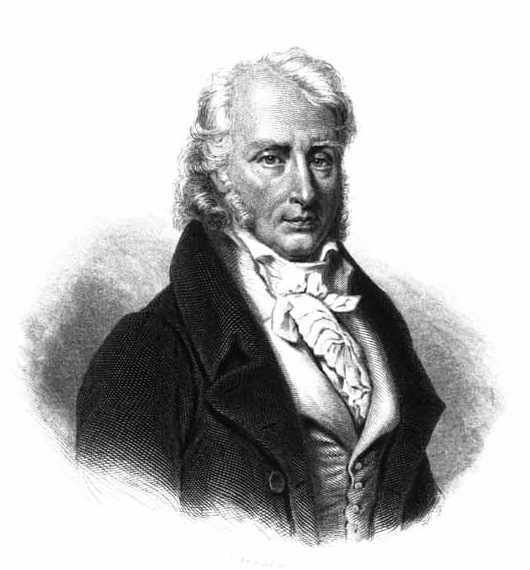 Benjamin Constant, taken from Wikimedia Commons. Democracy is a complex concept with a long and convoluted history. Today, of course, it is almost universally praised, but this was often not the case before the twentieth century. Its origins lie in ancient Greece, especially Athens. Yet not only was it much criticised at that time (not least by the two most renowned philosophers of the day, Plato and Aristotle), but the form democracy then took was very different from the political structures and values to which the term is applied today. These differences were emphasised by Benjamin Constant in the early nineteenth century. He drew a distinction between the liberty of the ancients and that of the moderns. The first, which he described as involving the complete subjection of the individual to the authority of the community, involved the direct exercise of collective political power through: deliberation; the voting of laws; and the calling to account of magistrates. The second, by contrast, prioritises the rights of the individual. It encompasses: the right to freedom of speech, movement, association, religion and employment; the right to be governed by the rule of law and to dispose of one's property as one sees fit; and, in political terms, it requires simply 'the right to exercise some influence on the administration of government' whether by electing some or all officials, or via representations, petitions and demands. Constant's 'liberty of the moderns', then, is precisely what democracy in its modern guise is designed to protect, and the origins of this modern form of democracy are usually traced back to Constant's own time, and in particular, to the revolutions and reforms of the late eighteenth and nineteenth centuries. Yet democracy was also much discussed in the seventeenth century, not least in England during the mid-century Revolution, and there are grounds for tracing the origins of our modern understanding of the concept right back to that point. John Whitgift by an unknown artist. National Portrait Gallery, NPG660. Reproduced under a creative commons license. The term 'democratical' was first used in print in English in 1574: in a work published by the future Archbishop of Canterbury, John Whitgift, which responded to Puritan calls for further purification of the Church of England. Within this dispute the question was raised as to whether church and state government should take the same form. 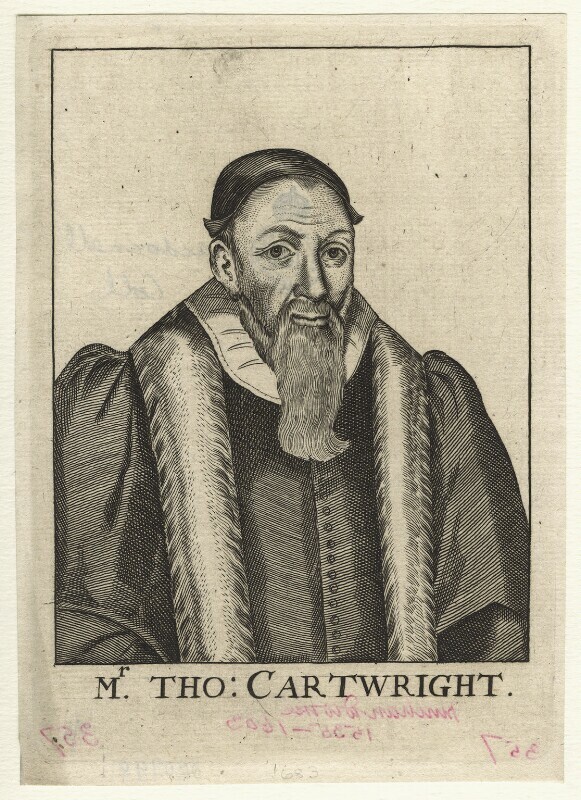 Whitgift's opponent, Thomas Cartwright, argued that the government of the state should be fitted to that of the church, a suggestion that Whitgift interpreted as suggesting 'that the government of the commonwealth, ought not to be monarchical, but either democratical or aristocratical, because (as you say) the government of the Church ought to be such'. (John Whitgift, The defense of the aunswere to the Admonition against the replie of T. C., London, 1574, p. 389). The term was also invoked in another religious debate, this time originating in the 1580s, concerning the method of election within the early church and its implications for the present. Thomas Cartwright by an unknown artist, 1683. National Portrait Gallery, NPG D20948. Reproduced under a creative commons license. Most of the references to democratic government in the sixteenth and early seventeenth centuries related to these debates, and they were relatively few in number. Moreover, at this time democracy was usually portrayed in negative terms. Between 1570 and 1600 fewer than ten works appeared each decade that included the word 'democratical'. By the 1640s, however, more than 100 works did so. Part of the reason for the increasing popularity of the term relates to the political upheavals of those years. Indeed, some commentators even began to use the term 'democracy' to describe the government of England itself. Initially democracy was simply used to designate one element of England's mixed constitution but, following the regicide, England was presented in several works as a pure democracy. Not only that, but some commentators actively embraced this idea. In a sermon preached before the Lord Mayor, aldermen, sheriffs and companies of London in October 1650, Nathanael Homes sought to distinguish a 'popular parity; a levelling Anarchie' from 'a regular Democracie'. The latter, he insisted, 'assisted with an occasional Aristocracie in Trust, is most safe; as some experience may be seen, in Switzerland, Venice, Low-countries, and New-England; and most anciently among the Jews, in the time of the Judges'. (Nathanael Homes, A sermon, preached before the Right Honourable..., London, 1650, p. 32). Title page to The Prerogative of Popular Government from The Oceana and Other Works of James Harrington, ed. John Toland (London, 1737). Private copy. Image by Rachel Hammersley. James Harrington too sought to rehabilitate the concept of democracy on the basis of exactly the same distinction, but he went further, seeking at the same time to distance the concept of democracy from ancient Athens and the emphasis on free speech and debate among the citizenry that was central to government in that city. The so-called 'democracy' of Athens was, in Harrington's eyes, really anarchy because it allowed debate among the citizens, which tended to produce chaos. In contrast to this he celebrated what he described as the 'democracy' of Sparta which was instead grounded in popular sovereignty, which he understood as the right to accept or reject legislative proposals. In Oceana Harrington made the case for Sparta as a democracy on the grounds that in that system the senate was elected and the popular assembly had the right of veto over the propositions of the senate. In his subsequent work The Prerogative of Popular Government he repeated this point and offered further justification for the superiority of Spartan 'democracy' over Athenian 'anarchy': 'debate in the people maketh anarchy, and where they have the result and no more, the rest being managed by a good aristocracy, it maketh that which is properly and truly to be called democracy, or popular government'. (James Harrington, The Prerogative of Popular Government in The Oceana and Other Works of James Harrington, ed. John Toland, London, 1737, p. 308). In my last blogpost I noted how different the composition of Harrington's senate was both from other second chambers at the time and from the House of Lords today, and here we can see that Harrington's senate was also distinguished by its distinctive function. The role of the senate was to debate and propose legislation, but it was for the popular assembly to accept or reject those proposals. Title page to second book of The Prerogative of Popular Government from The Oceana and Other Works of James Harrington, ed John Toland (London, 1737). Private copy. Image by Rachel Hammersley. Several conclusions can be drawn from this very brief account of seventeenth-century democracy. First, discussions of democracy originally arose not in the realm of politics narrowly defined, but rather with reference to religion and the relationship between church and state. Indeed this was still true of Harrington, who made much of the practice of democracy within the Hebrew commonwealth (as depicted in the Old Testament) and in the early church (as described in the New). Modern democracy, then, should not simply be seen as a secular concept, but one with firm religious foundations. Secondly, the history of democracy in the seventeenth century is a good example of a common tendency by which political concepts enter the lexicon as terms of abuse, but once there are available for adaptation, and even more positive adoption, by individuals or groups. Consequently, a proper understanding of the origins of political concepts must take into account not just positive depictions of them, but also negative ones. Moreover, both the initial negative understanding of democracy, and the relative flexibility of the concept in the seventeenth century, render exploration of that phase of its development of particular relevance today. The negative accounts of sixteenth and seventeenth-century thinkers can help us to identify and analyse some of the potential problems of democracy. At the same time, the flexibility of the concept - before it became inextricably intertwined with voting, elections and majority rule - might provide us with interesting hints at the paths not taken, alternative ways of thinking about democracy, and even potential solutions to current political problems. This leads us back to Harrington. 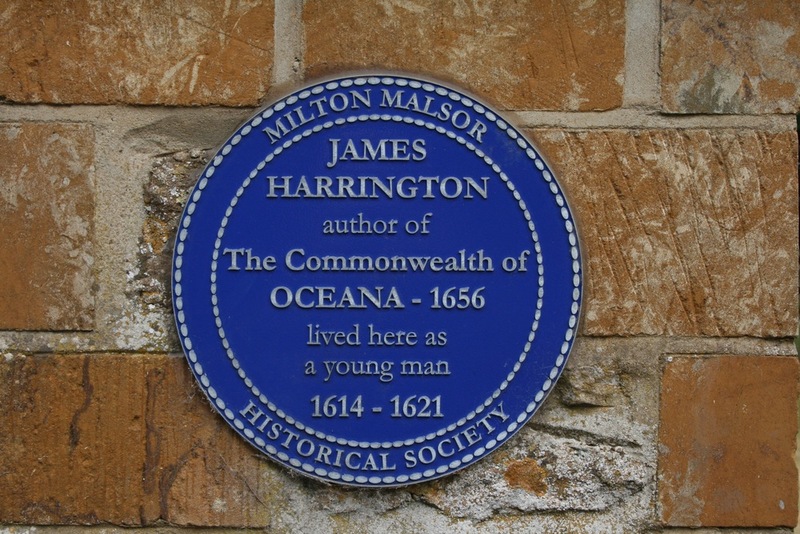 In one sense we might posit Harrington's analysis in Oceana and The Prerogative of Popular Government as marking the birth of modern democracy in enacting the shift away from its ancient Athenian form - where the emphasis was on political debate and direct political action - and towards a version grounded in popular sovereignty exercised via a representative assembly. Yet, at the same time, Harrington's constitutional model sets out a politics that is very different from our own democratic system. And while we might not want to adopt his idea that the popular assembly cannot debate, but only silently accept or reject legislative proposals, his appreciation of the fact that modern democracy raises the danger of rule by an entrenched political elite, and his proposals as to how that can be avoided, may well provide a stimulus to productive political thought in the twenty-first century.